As we all know, weather is a tricky thing to predict—even for a meteorologist. So, while we can’t predict the weather with 100 percent accuracy, there are seasonal patterns that are fairly predictable. Gulf Shores and Orange Beach, Alabama, are in a subtropical area of the country, where visitors can expect mild temperatures year-round. Gulf breezes temper the hot summers, and spring and fall days are warm with cool evenings. The temperature here is rarely below 32°F or above 96°F. So, there is really not a bad time to visit. Here’s the lowdown on what the four seasons bring to the Gulf Coast. the one we had this year. So, the Gulf Coast is becoming more and more popular as a Spring Break destination. April is one of those months where we will certainly have some glorious 75-degree days without a cloud in the sky. It’s also one of those months when winter reminds us she’s not quite done yet. So, it’s a good idea to bring along a light jacket if you visit in April. By May, the daytime temperatures are consistently in the upper 70s to 80 degrees. In fact, May is arguably one of the nicest months to visit the coast. Crowds are minimal and the weather is almost ideal. Things really heat up in June, July and August. School is out and water temperatures are in the mid-80s. Of course, this is also when the beaches are most crowded. It’s not uncommon to get summer showers—especially in late afternoon. But it’s rare to get a summer rainfall that ruins the entire day. And even when temperatures reach the upper 90s, there is almost always a cooling breeze coming off the Gulf. If you ask people who live here full time, most will say fall is their favorite time of year. It’s still warm enough to do all your favorite outdoor activities through September and most of October. Even though we’ll start getting a few chilly days in October and November, there are still plenty of days that the temperature climbs back near 70 throughout November. Plus, there is something exhilarating about throwing on a light jacket for a sunset beach walk after the summer heat has passed. 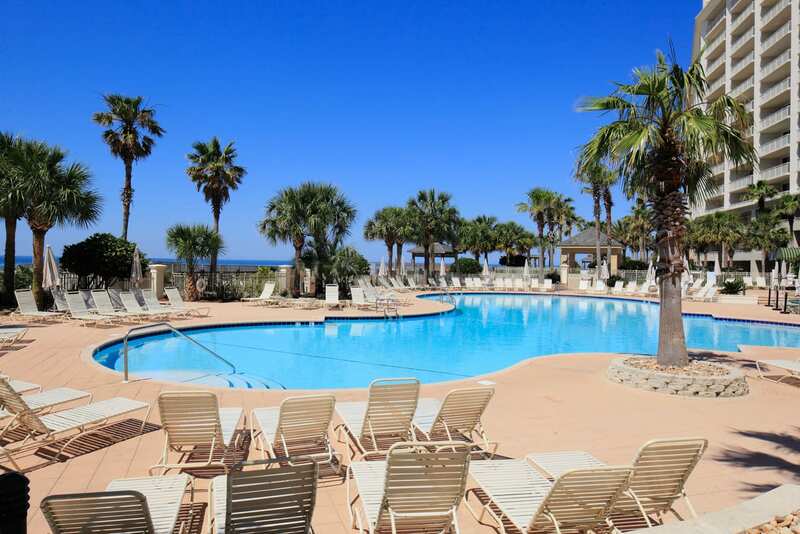 Also, the “off-season” is a good time to visit the Gulf Shores area not only because of cooler days, but also because of better rates on vacation rentals. That’s one of the reasons Thanksgiving is becoming such a popular time for families wanting to gather somewhere besides home. Is this What You Call Winter? There is a reason Snowbirds flock to the Gulf Coast for winter. With average January temperatures in the 50s, crowds are at a minimum and many local restaurants and retailers run deep-discounted specials. There is also something very beautiful and pristine about walking along the beach in winter with no beach chairs or umbrellas dotting the shoreline. This is also the time of year when you can get monthly rentals for about the same price you would pay for a week in summer. To sum it up, with an average of only four days of cloud cover per month and moderate temperatures year-round, there is not really a bad season to plan a trip to the Gulf Coast.